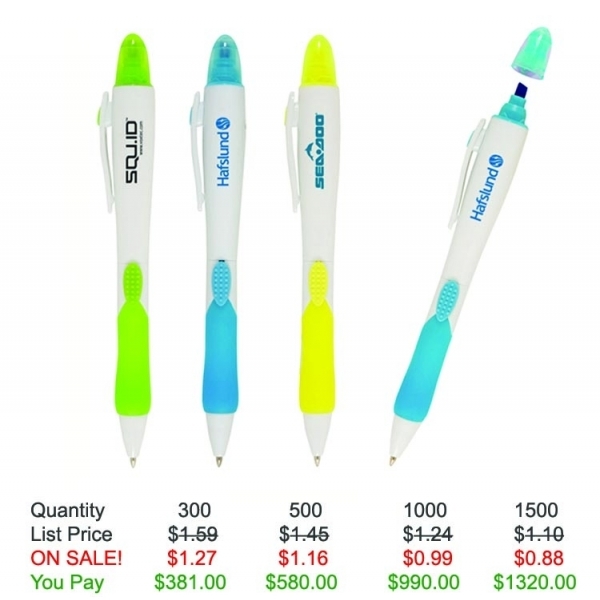 Contempo 2-in-1 plastic highlighter and retractable ballpoint pen combo with soft rubber grip, trim color coordinates with highlighter ink color. 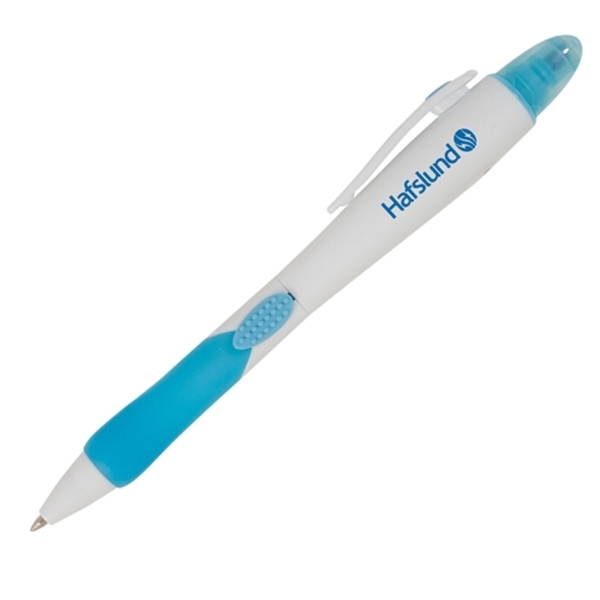 Great product to use as a giveaway for trade show, corporate events and seminars. Lifetime Guarantee. 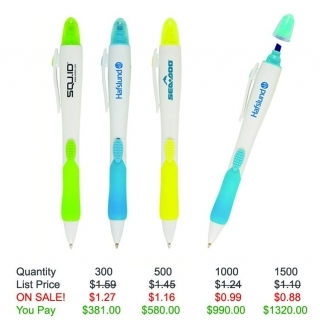 Save on this custom highlighter with Free Setup, Free Rush Service, Free Artwork and Free Shipping. 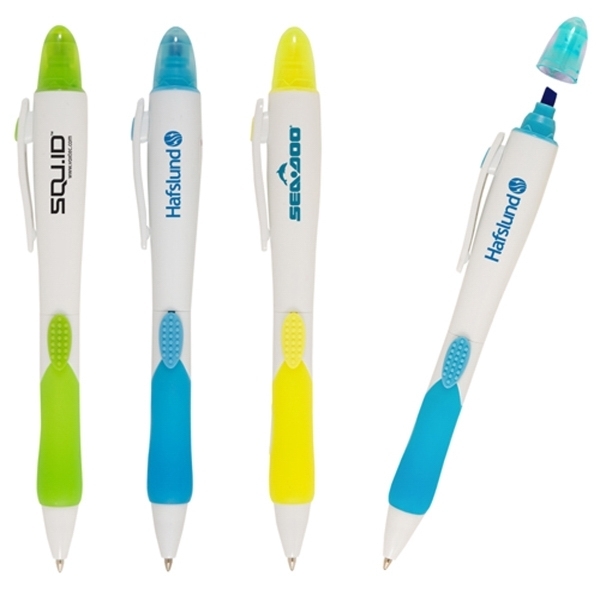 Item Color: Green, Blue, Yellow. 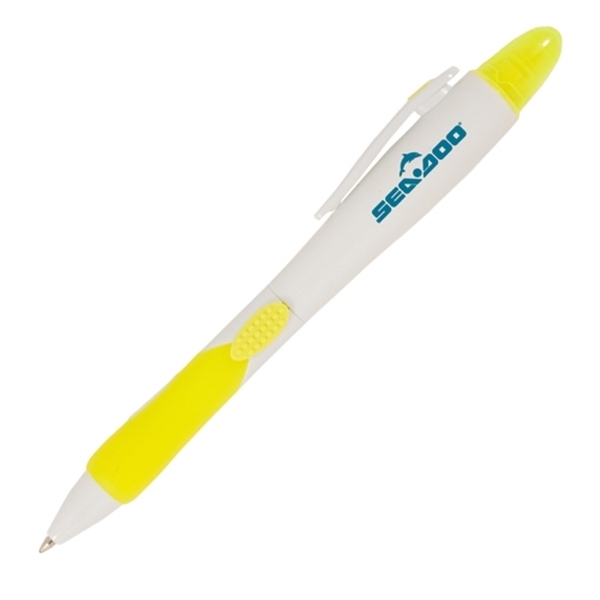 Highlighter Color: Trim color coordinates with highlighter ink color, Green, Blue, Yellow. Shipping Weight: 1500 pieces per carton, 31 lbs per carton - FREE Shipping!